Western Liguria stretches from the French border to Genoa. While very accessible, it is a relatively little known part of Italy. The region offers a spectacular coastline and beaches, a great deal of Italian culture and history and a lot of local food and wine. It is blessed with ‘eternal spring’ and a unique micro-climate that has earned it the title ‘the Riviera of Flowers’. The local area offers a wide choice of beautiful walks. 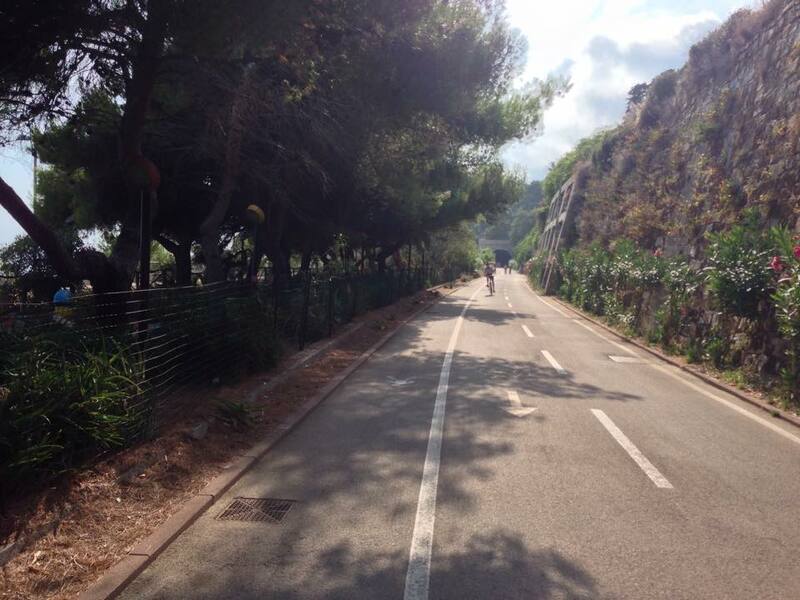 You also have access to the new foot- and cycle path which runs along the seafront, but there are also many other lovely excursions which you could go on. For more information on walking in Liguria, click here. The area surrounding Piani Cipressa is also a fantastic destination for photography enthusiasts. Every year, there are organised photography and walking holidays which use our house as a base. Check out some of the opportunities which are on offer here. The foot- and cycle seafront, which follows the route of the old railway, runs right alongside the seashore. By the end of 2010, which is the seafront’s projected completion date, it will measure 74 kilometres in total. The seafront will then stretch from the south of France, along the Ligurian coast and on to Genoa, passing 8 historical villages and San Remo on the way. At present, 24 kilometres of this car-free path has been made ready for use and this section of the seafront is close to our holiday house. The path is on the flat and quite wide, so very suitable for families. You can already cycle from San Lorenzo to San Remo in 45 minutes, or continue on to Ospedaletti. The view is brilliant and en route you pass lovely little villages and idyllic beaches. Fringed by the Alps on the one side and by the Mediterranean on the other, this will be one of the most beautiful cycle paths in Europe and the first to run along the Italian coast. This construction project will open up access to 5 kilometres of the coastline. You can hire bicycles in San Lorenzo al Mare, amongst other places. Click here to see a film about the new cycle path.